Learn more about our dedicated senior staff who lead an office of more than 80 staff members in Washington, DC. 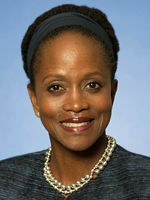 Esther Brimmer, DPhil, currently serves as the executive director and chief executive officer of NAFSA: Association of International Educators. Dr. Brimmer’s distinguished career includes three appointments within the U.S. Department of State, serving most recently as the assistant secretary for international organization affairs from April 2009 to 2013. Prior to joining NAFSA, Dr. Brimmer was professor of practice of international affairs at George Washington University’s Elliott School of International Affairs where she served a two-year term as the J.B. and Maurice C. Shapiro Professor. She was also an adjunct senior fellow for international institutions at the Council on Foreign Relations, and a senior adviser at McLarty Associates. She was previously deputy director and director of research at the Center for Transatlantic Relations at the Johns Hopkins University's Paul H. Nitze School of Advanced International Studies (SAIS) from 2001 to 2009, and was a member of the SAIS faculty. She also taught at the College of Europe in Belgium, and from 1995 to 1999, she was a senior associate at the Carnegie Commission on Preventing Deadly Conflict. Earlier, she served on Capitol Hill as a legislative analyst for the Democratic Study Group in the U.S. House of Representatives. Immediately after earning her doctorate from Oxford University, she spent two years as a management consultant with McKinsey & Company. 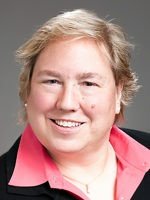 Jane Hoffman joined the NAFSA staff in 2015 as deputy executive director for finance and administration and as NAFSA's chief financial officer. Before joining NAFSA, Hoffman served as managing director of finance at KIPP DC, a network of high-performing, public, college-preparatory charter schools in Washington, D.C., and as chief financial officer at the National Cooperative Business Association. She has held staff positions at the Washington Post, Cooperative Business International, and the Czech American Enterprise Fund in the Czech Republic. Hoffman earned a bachelor of science degree in business administration from the University of South Dakota and a master's degree in public and private management from Yale University. She also served as a Peace Corps volunteer in Malawi, providing business and technical support to small local businesses. 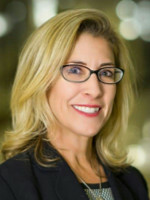 Tatiana Mackliff serves as NAFSA’s deputy executive director for leadership and professional development services. Prior to joining NAFSA, Mackliff served as executive director of international education at Miami Dade College. Her 25-year career in the field of global education includes a number of leadership positions at the Institute of International Education (IIE) and the British Council. At both organizations, she liaised with government officials to implement flagship scholarship programs such as the Foreign Fulbright Student Exchange Program for the Western Hemisphere, the Fulbright Distinguished Awards in Teaching Program, the English Language Teaching Assistant Program, and the prestigious Chevening Awards. While at IIE, Mackliff engaged the private sector in the creation of global fellowships for K–12 teachers. She also previously served as study abroad manager at Florida International University. Mackliff holds a bachelor’s degree in business administration from the Universidad Espiritu Santo in Guayaquil, Ecuador, a master’s degree in international and intercultural development education from Florida International University, and an executive coaching certification from New York University. 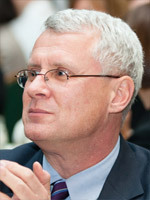 Alan Williams serves as chief operating officer and deputy executive director. In his chief operating officer role, Williams provides operational coordination for some of NAFSA’s largest strategic initiatives and helps craft actionable business intelligence based on data analytics; identifies innovative non-dues revenue possibilities; enhances NAFSA’s expression of membership value; and helps identify and frame important new institutional partnership collaborations. As deputy executive director, Williams provides oversight of NAFSA's extensive marketing, strategic communications, publications, membership, global partnerships, fundraising, sponsorships, and technology solutions. Prior to joining NAFSA, Williams served as vice president of the leadership and engagement center at the International Youth Foundation (IYF), where he provided strategic management for one of IYF's largest global corporate initiatives, the Make a Connection program. Williams also served as executive director of Quest International, an educational nonprofit dedicated to providing life skills, character education, violence prevention, and service-learning programs for young people. He has also served as the director of communications at the global headquarters of the American Field Service (AFS) student exchange organization in New York City. Originally from South Africa, Williams was an AFS exchange student from Cape Town to Schenectady, New York. He holds a bachelor's degree in journalism and media studies and a BA (Honors) degree from Rhodes University in Grahamstown, South Africa. 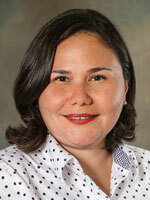 Dorothea Antonio serves as NAFSA's deputy executive director for knowledge development. She leads NAFSA’s contribution to thought leadership in international education and provides executive oversight to academic, internationalization, and conference programming. Previously, as senior director of internationalization services, Antonio helped develop NAFSA’s internationalization portfolio, working in the areas of comprehensive internationalization, institutional leadership, global partnerships, and strategic alignment. 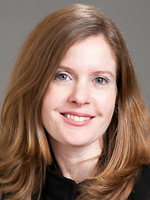 She joined the NAFSA staff in 2010, and prior to that held various NAFSA volunteer leadership positions. Her experience in the field of international higher education and international development includes project and grant management; nongovernmental organizations; business development; event management; international enrollment management; English as a second language; sponsored student projects; and training, including positions at World Learning, the University of Central Florida, and the World Health Organization/Pan American Health Organization. Antonio holds a bachelor’s degree in political science and business from the University at Albany and studied at the Iberoamericana University in Mexico City. She also has a TESOL certification from SIT Graduate Institute and a master’s degree in Latin American studies from The George Washington University. NAFSA's leadership structure is lead by a Board of Directors.